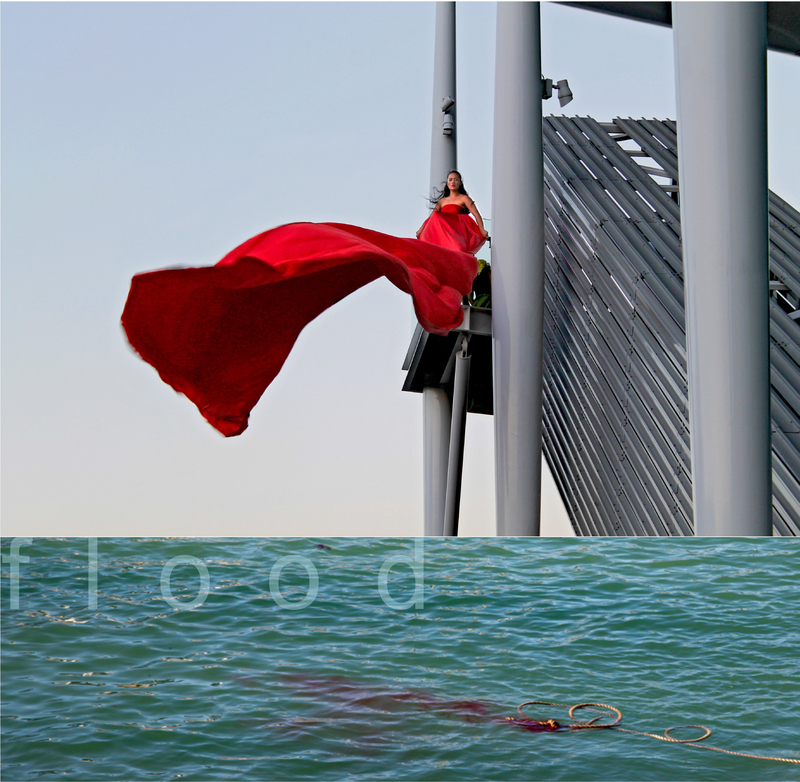 FLOOD – New Zealand: (Open Dress Rehearsal 19th), 20th, 21st and 22nd June: 6:45-7:45 (Vltava River) Meet at Colloredo-Mansfeld Palace to download soundscape and move across Charles Bridge. This early morning site-responsive, dance-architecture event in and around the Vltava River, involves three mythopoetic figures moving in the landscape – the Bride, Tangaroa and Hine-ruhi, the woman who made the dawn appear. Conceived and performed by NZ Company, MAP, as a performance of process, Flood enacts a fluid narrative utilizing biomorphic forms and a headphonic soundscape. Through collaborative experimentation MAP’s headphonic site-responsive performances pay attention to the hidden, buried and lost. Formed by designer Dorita Hannah and choreographer Carol Brown, following a residency in Athens to create Her Topia (2005), sound artist Russell Scoones joined the group to make Aarero Stone in Wellington (NZ InternationalArts Festival 2006).Acommission by STRUT Dance led to their first urban performance Tongues of Stone launching Perth as a Dancing City in 2011. MAP was selected for NZ’s National Exhibition in PQ11 with Mnemosyne: a re-membering of the earlier 3 works. Between 2012 and 2013 dramaturg Fiona Graham joined MAP for Blood of Trees (Fluid City), 1000 Lovers (Auckland Arts Festival) and Tuna Mau (Oceanic Performance Biennale) on Auckland’s waterfront – each responding to the sedimented site: replete with encounters, pathways, traumas, fictions and facts. In 2013 ecological designer Amanda Yates became involved in conversations about the role of indigenous story-telling and design in the work. For PQ15 MAP is developing FLOOD: a perambulatory and site- responsive event for the labyrinthine pathways, arcades, bridges and passages of Prague. Linda Erceg’s ‘Biomorphs’, which are utilised as performative objects for the performance of FLOOD, are part of an ongoing visual exploration into the connection between knitted and crochet artefacts, living systems and patterning. Her work seeks to explore the interface of digital and analogue technologies through the coded and iterative qualities of the stitched object. Linda has taught in the visual arts program at RMIT (Royal Melbourne Institute of Technology) and worked in curriculum development at UTAS (University of Tasmania).Her artwork has been exhibited nationally and internationally with support from the Australia Council and Arts Victoria.